Lahore: Syed Zaeem Hussain Qadri has said that Pervaiz Khattak should not tell lie and consider the facts. He said that the practical steps of Chief Minister Muhammad Shahbaz Sharif are clear proof of public service. He said that the performance of Shahbaz Sharif is being acknowledged at national and international level whereas, contrary to it, allegations of Pervaiz Khattak are concocted and not understandable. Zaeem Qadri said that non-launching of even a single mega project for the last two years is proof of the inefficiency of Pervaiz Khattak. He said that instead of criticizing, Pervaiz Khattak should follow Chief Minister Punjab Muhammad Shahbaz Sharif in public service. 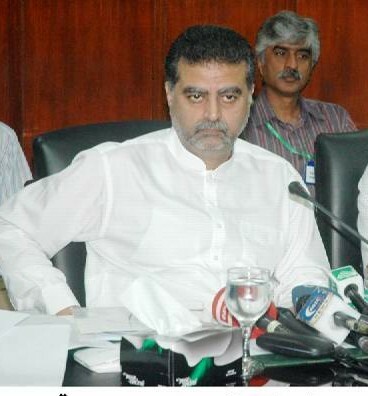 Zaeem Qadri said that it does not behove to those converting Peshawar into swimming pool to compete Punjab. He said that claimants of new Pakistan could not protect a city let alone a province and have left the people at the mercy of the situation. He said that KPK people have become aware of the hollow slogans of PTI and cities and villages of KPK including Peshawar are depicting mismanagement. He said that Mufti Mehmood Bridge and wastage of 80 percent development budget are proof of inefficiency of Pervaiz Khattak and his Quaid Imran Khan.